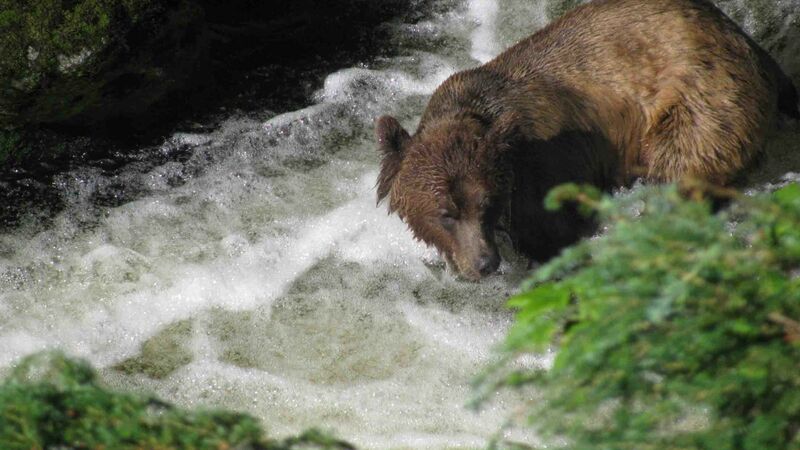 Take advantage of this opportunity to visit one of the most remote bear viewing areas in the world. 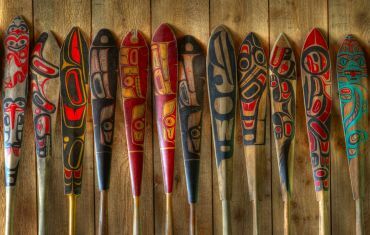 Khutzeymateen is a native Tsimshian word meaning ‘a confined space for salmon and bears’, a suitable description - as you will soon see. "Khutzeymateen" is spelled "K’tzim-a-Deen" by the local Tshimshian. 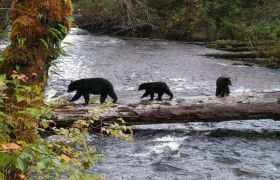 We voyage along the Inlet's winding shores and expect some wonderful bear viewing in the Khutzeymateen Conservancy and the remote grizzly sanctuary. 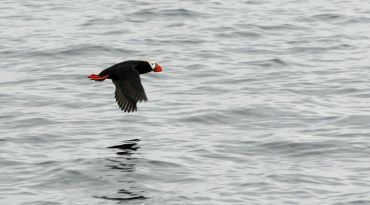 We look forward to exploring the outer islands, watching Steller sea lions on the hunt and at play. While ashore, we walk along rugged beaches and take the time for hikes to explore a hanging bog to discover its varied vegetation. 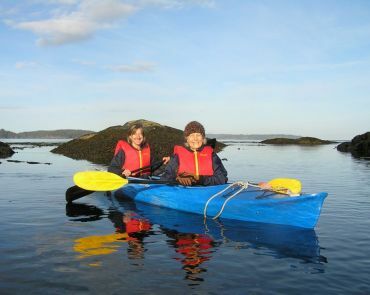 Each day, we enjoy our time for incredible sea kayaking among rock studded anchorages. 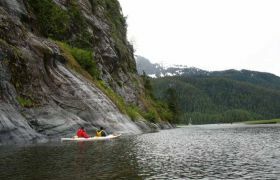 Khutzeymateen Inlet is one of British Columbia’s most northern glacial fjords, with characteristic steep cliffs, thick forests and rich estuary ecosystems. 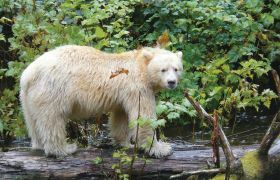 The Khutzeymateen Valley is Canada’s oldest grizzly bear sanctuary and home to British Columbia’s most important coastal bear population. 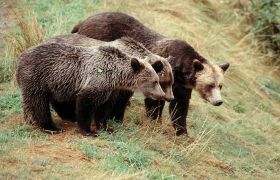 Covering an area of 45,000 hectares, it is estimated there are about 50 grizzlies protected by the no-hunting restrictions of the sanctuary. The protected area has recently expanded to include the entire Inlet as the Khutzeymateen Conservancy. Only a select number of Operators are permitted to access the Sanctuary, providing a very intimate bear viewing experience. This area is home to the magnificent grizzly bear, a species that requires large areas of habitat undisturbed by human activity. 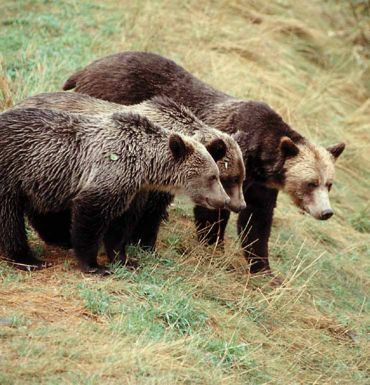 These great bears, once roamed across North America but due to the advance of civilization, diminished food supply and continued tophy hunting, they are now threatened in their remaining range. 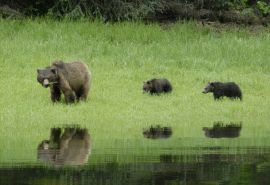 Fortunately for the bears of the Khutzeymateen, they are protected, as the headwaters of the Inlet are Canada’s only Grizzly Bear Sanctuary. 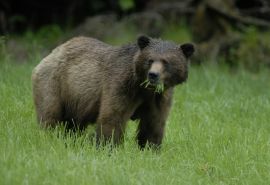 Covering an area of 45,000 hectares, scientists estimate there are about 50 grizzlies protected by the no-hunting restrictions of the sanctuary. The protected area has recently been expanded to include the entire Inlet as the Khutzeymateen Conservancy. Only a select number of Operators are permitted to access the Sanctuary located at the Inlet's estuary providing a very intimate bear viewing experience. 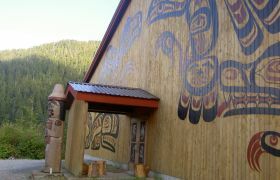 Tshimshian First Nations have lived in this area for thousands of years. There are two villages along our route; Lax Kw’alaams was once a Hudson Bay Company trading post called Fort Simpson and Metlakatla, which became a model Christian community under Reverend Duncan during late 1800’s. They were fortunate to have avoided the smallpox that ravaged many native communities along the Coast. 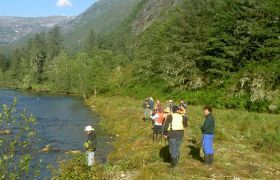 The Khutzeymateen is jointly managed by BC Parks and the Tshimshian First Nation. 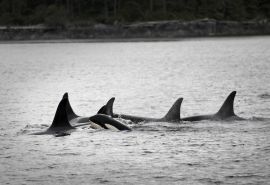 The waters of the North Coast are frequented by a variety of marine mammals, such as seals, sea lions, humpback whales and the infamous orca, or killer whale. 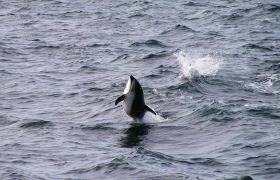 Dall’s porpoise are another marine mammal we may encounter. These porpoise are the fastest whales in our ocean and they will often come over “bow ride” while we are underway. 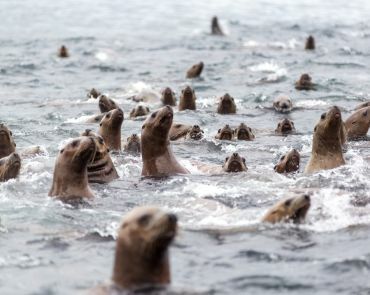 Steller sea lions can be found hauled out along the rocky shores. Males can weigh up to 2000 lbs. Stellers have been placed on the endangered species list in western Alaska, and scientists are only now learning why the population is declining so fast. This area has a very rich and varied bird population. You’ll be amazed at the number of bald eagles, ravens and various species of gulls that gather at the estuaries to feed on the spawning salmon. A variety of other birds, such as the common merganser, black oystercatcher, American dipper, and Steller jays are also common visitors of the rainforest rivers. See our 4-page brochure on North Coast/ Khutzeymateen. 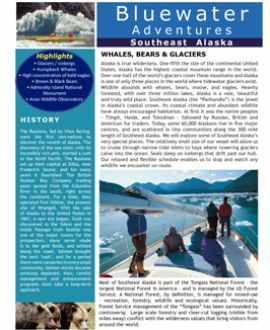 Includes: History, Whales, Bears, Wildlife, Native People & Glaciers. Our daily plans are flexible to accommodate the surprises that we encounter each trip, the requirements of tide & weather, and the interests of the group. With so many opportunities for spectacular scenery and wildlife, it’s hard to predict what unique moment will be your favourite memory. Trip Start - Day 1 - We will meet on the Prince Rupert dock. 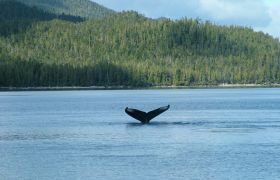 We depart Prince Rupert harbour for the beauty of Chatham Sound and its collection of islands. 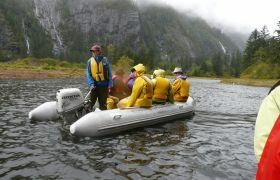 Day 2-3 - We explore the islands of Chatham Sound. Porcher, Stephens and Dundas Islands are the largest in the area. 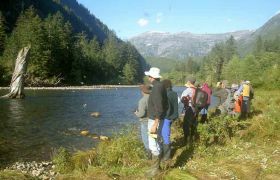 We will walk remote beaches, hike up to a view point and search for sea lions, orcas and humpback whales. 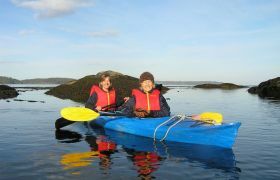 There are some lovely areas to explore by kayak or zodiac. 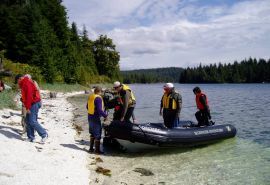 Day 4-5 - Khutzeymateen Inlet - We tie up Island Odyssey at a remote floating camp, and proceed by zodiac to see the famed grizzly bears of Khutzeymateen Inlet. Our trip takes us inland along the winding inlet shrouded by forests and lined with protein-rich sedge grass. Keep watch for grizzlies grazing at the water's edge as we make our way to the expansive estuary where the grizzly sanctuary is located. 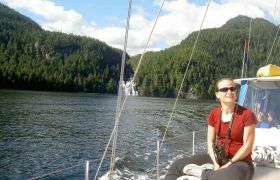 Day 6 - From fiord-like Portland Canal, we now return to the outer islands and lower topography of Chatham Sound. Remote Green Island still has lightkeepers manning the lighthouse and living on the tiny island. If the weather allows, we may go ashore for a visit. 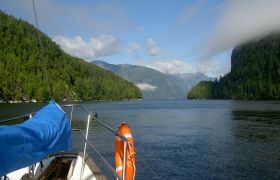 Day 7 - We return through narrow Venn Passage to Prince Rupert. 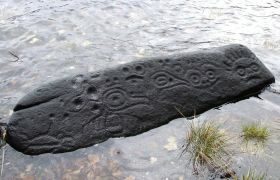 Venn Passage has an incredible collection of petroglyphs – native rock carvings – including the famous ‘Man who fell from heaven’. 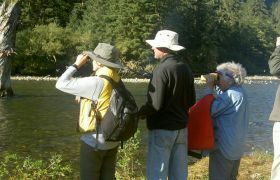 Accompanied by a local Tsimshian Guide, we plan to see these ancient carvings and learn of their history. 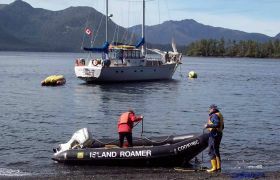 We will tie up in Prince Rupert by midday. 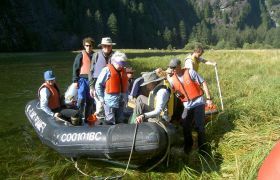 To support conservation efforts on the west coast, a $100 Sustainability Fee will be applied to rates at time of booking. Dates and prices are subject to change. Some departures may be reserved for groups. 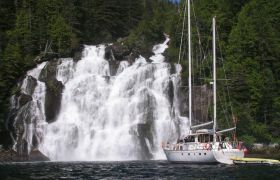 If you are interested in chartering a date for your group, special pricing is available.